George Grendon Moyse married Lena H. Smythe. John James Mackey married Sadie F. Gentles in Nov 30, 1893. Isaac Gallagher married Mary Mackintosh. Catherine Dow married Henry Houghton, son of Alanson Houghton and Sabriance (?). Hannah A. Rollins married George W. Houghton, son of Alanson Houghton and Sabriance (?). Rachel Hervey married Charles B. Houghton, son of Alanson Houghton and Sabriance (?). Rachel Hervey married Richard J. Tilton. Richard J. Tilton married Rachel Hervey. Burial North Creek Cemetery, in the Houghton plot. 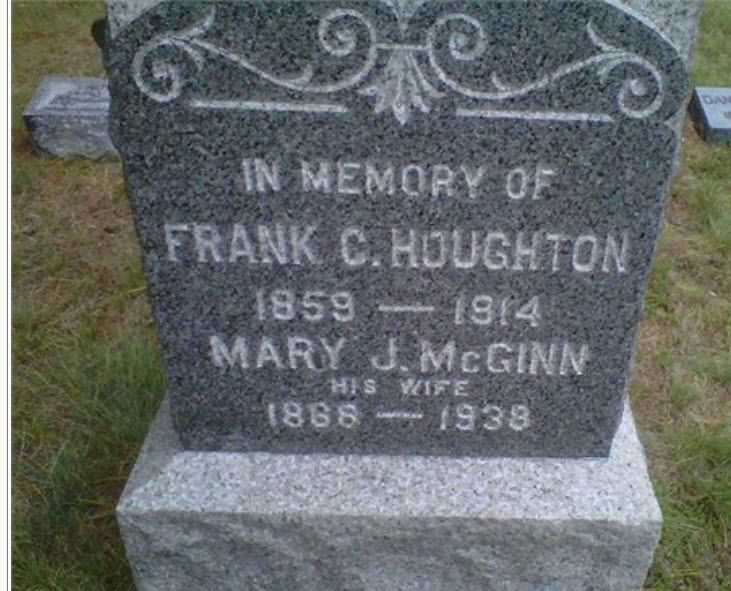 Francis C. Houghton married Mary Jane McGinn in circa 1890 mar 10 years in 1900 census. 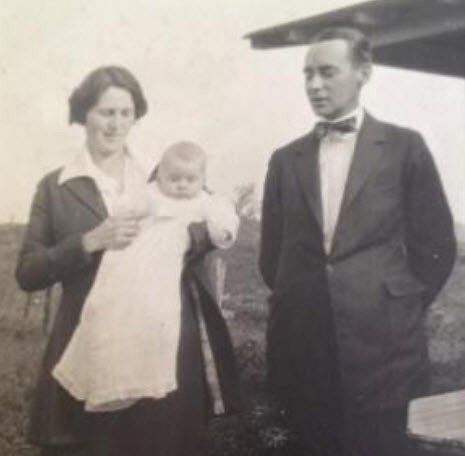 Zona McLean married Vinal A. Houghton, son of Everett W. Houghton and Grace E. Corbett, in Sep 15, 1934 at Lee, Penobscot Co., ME, USA. Mary Jane McGinn married Francis C. Houghton, son of Charles B. Houghton and Rachel Hervey, in circa 1890 mar 10 years in 1900 census. John Beecher Houghton married Blanchie Agnes Wamsley in Jun 1, 1916 age 26 and 24. Blanchie Agnes Wamsley married John Beecher Houghton, son of Francis C. Houghton and Mary Jane McGinn, in Jun 1, 1916 age 26 and 24. Eva May Houghton married Elmer Bonesteel in Sep 17, 1915. 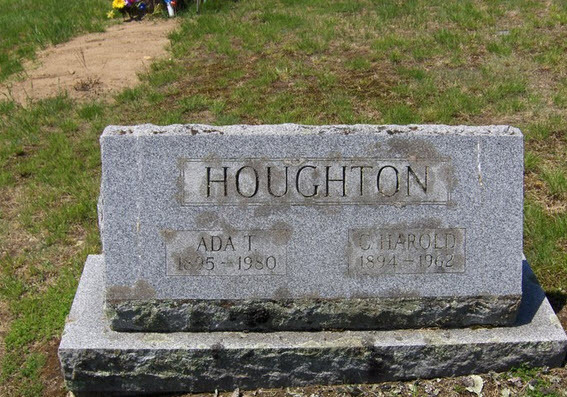 Charles Harold Houghton married Ada B. Tucker in Oct 18, 1919 age 25 and 24. Gretchen M. Houghton married Harlan Edward Fish in Jun 16, 1917. Dorothy Agnes Houghton married John James Cunningham in Jun 9, 1929 at St. Mary's Church, Glens Falls, NY, USA.